In-Line and Side-by-Side Box Filling Systems are designed to meet your box filling needs. 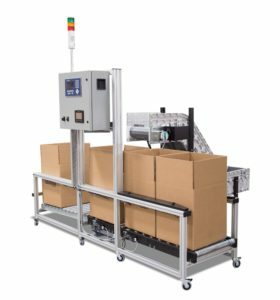 Automatic filling systems are designed for un-attended box filling of parts by weight and/or count. Systems are available in three sizes to accommodate boxes from 6″ to 27″. Smooth transfer of boxes from 0 – 200 lbs.